As the country is gripped with election fever and the Capital gets ready to vote, Aaj Tak comes with a special programming that highlights the views of the Delhi voter. The program will bring to the fore the issues that will impact the elections this year and will emerge as critical parameters for the voters to judge the candidates. The campaign is all about the choice that public of Delhi will make this election. The daily show will have special debates & sessions where the candidates will debate on various issues ranging from women safety, price rise, employment, inflation, traffic control, etc. The audience will question these leaders on these issues and there will be episodic specials of the show. 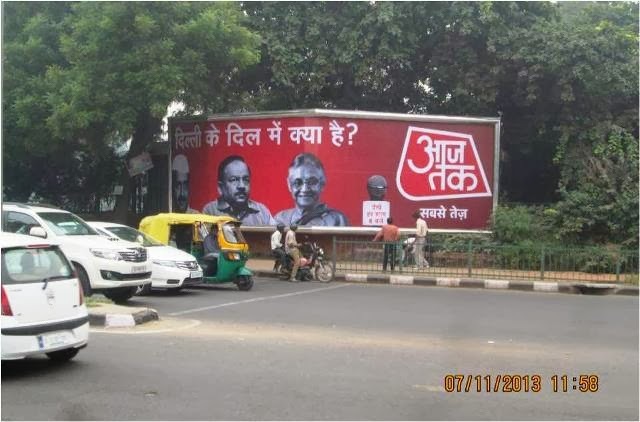 The OOH campaign is for Delhi as it is the capital centric show has been spread over the city. The entire city has been covered with the campaign including the prominent areas such as inner Ring road, outer Ring road, Lajpat nagar, South Extension, Vasant kunj, Mahipalpur, DND Toll, MG Road. There are more than 40 sites in Delhi NCR.